Ah, the end of the first round is in sight. Now it is time for me to talk about the finalists, and announce the overall winner. I’m going to keep this pretty short and sweet (mostly because I’m tired and ain’t nobody got time for my diatribes). Listed below are the six finalists, and then at the end of this post is the overall winner, the one book that will go on to the next round. This was incredibly, unexpectedly difficult for me. It took me quite a few days of mentally going back and forth between a few of these books before I finally settled on the winner. It was a close call, and I had a lot of incredibly wonderful contestants. It gives me the warm fuzzies to see this much incredible talent. Thanks to everyone who entered. Congratulations to the finalists, and good luck to that one book that moves on to the next round. Without further ado, here are the six finalists. It Takes a Thief to Catch a Sunrise is a re-issue of the previously released ‘The Northern Sunrise’. It is a stand alone book by the author of The Ties that Bind trilogy. 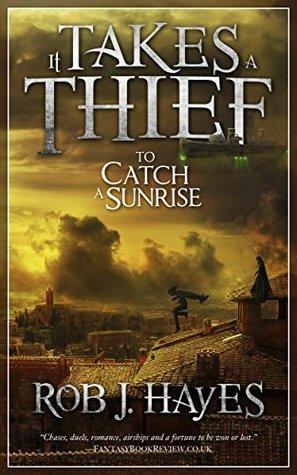 Set in a new world of corruption, deceit and thievery; mixing magical fantasy and alchemypunk with a healthy smattering of airshippery. “There comes a point in every thief’s life where one has to take stock of all that they have achieved. We have stolen almost everything there is worth stealing: Prince Henri’s Jadefire ring, the Marquisse d’Bola’s collection of prized toy soldiers, Elize Gion’s Living Autumn, the very first airship schematic, and who could forget we definitely made off with Baron Rivette’s pride. A god fell from the sky, carving a line of blue fire across the night for weeks. Many followed it. Flax brought his family as pilgrims, following the god north to the site where it landed. Among other pilgrims, it was easy to hide the fact that he was really no pilgrim at all but a fugitive. He thought to start a new life, a peaceful life with his wife, his children, his newest son. But his conscience weighed on him day by day. Every day of peace came at the cost of escaping justice. Across the desert, in the kingdom of Hitai, another father worried about his own children. 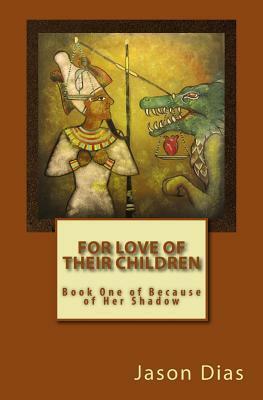 Ynn the king, knew his immortality hinged on being murdered and succeeded by one of his offspring. Yet none were ready for the task of ruling, and some were very much up to the task of murder. How to survive long enough to teach them wisdom? But the god had plans for them all. It would throw them together, stretch them apart, remake them into warriors, heroes, and monsters. They would all do good things and bad. And how far will each of them go… …for love of their children? Captain Hook has been captured by the British navy—and is soon to be hung. 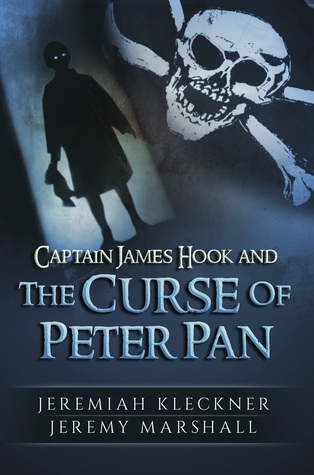 As Hook tells his life story to his captor, it soon becomes clear that the fearsome pirate was once a scholarly, if sickly boy—until one fateful night in Port Royal, when he meets the volatile Peter Pan. Raise the Jolly Roger and discover the book that opened thousands of eyes to the possibility that, once upon a time, Captain Hook was not the villain we know him to be. Since its publication in June of 2012, this original story takes you through Captain Hook’s rise to piracy, including his first confrontation with Long John Silver and his service on the Queen Anne’s Revenge alongside Blackbeard at the Charleston Blockade. This book is not a retelling of the events of J. M. Barrie’s beloved novel. Far from it. It’s a defense of the world’s most famous pirate, told by the man himself. Captain Hook has reason and wit behind his hatred for Peter Pan. If only someone would listen. 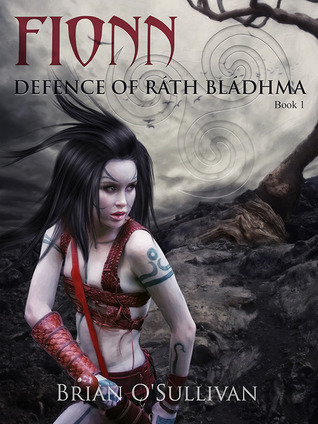 In the secluded valley of Glenn Ceo, disgraced druid Bodhmall and her lover Liath Luachra have successfully avoided the bloodshed for many years. Now, the arrival of a pregnant refugee threatens the peace they have created together. 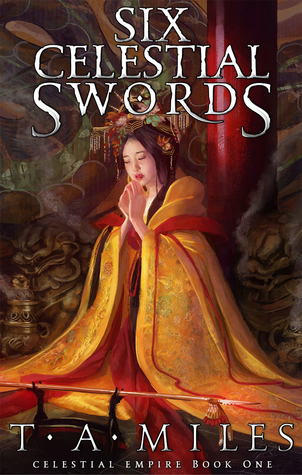 Inspired by the rising chaos in Sheng Fan, Xu Liang, mystic and officer of the Imperial Court, leaves his homeland for the barbarian outer lands in search of four magical blades to unite with two sacred weapons already in the possession of the Empire. His plan is to bring all of the blades together and return them to Sheng Fan’s Empress as a symbol of unity that will bolster the people’s faith in the Imperial family and assist against the surge of dark forces. Complicating his plan is not the finding of the blades, but finding them with bearers; foreigners who have no intention of parting with them and less intention of serving an Empire they’ve scarcely heard of. It becomes Xu Liang’s task to ally himself with these barbarians of the outer realms and unite them with his cause, as well as with one another. Only the complete reunion of all six blades and their fated bearers can stand against chaos, rising like a dragon from slumber beneath the foundation of a nation unprepared. I chose my winner basically based on my gut. Honestly, this decision just about killed me because I couldn’t choose between two books. I kept waffling. In fact, I did this for days. I’d think I chose one book, and then I’d change my mind, and I’d do that over and over again. It was insane how much I loved these two books, and how desperately I wished I could just send both of them on to the next round. Therefore, I’m going to give an honorable mention, and then announce my final winner… because really, these two are so close it just about came down to a coin toss to decide the winner. 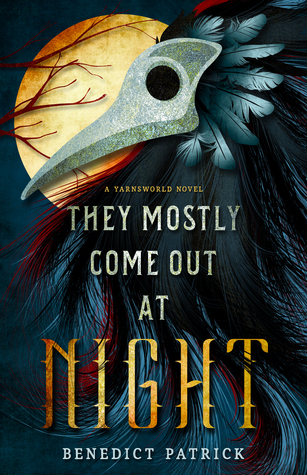 In the end, I decided to choose a book that won me over with its subtle fantasy tones, low key magic system, incredibly researched and meticulously paced plot, strong women, and diverse relationships, though it takes some time to get used to a bit of the language. Congrats to everyone here, and double congrats to Brian O’Sullivan!